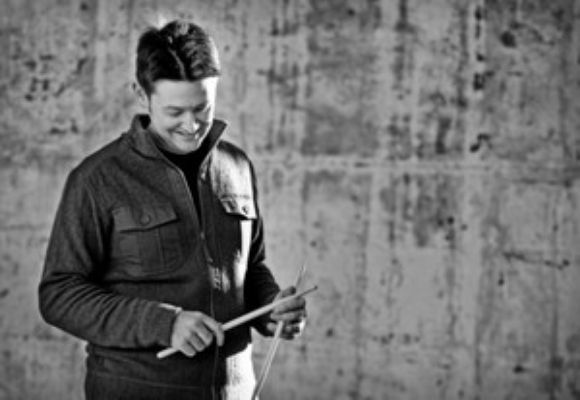 After breaking the family chopsticks playing on pots and pans as a small child, Andrew Swift took up the drums at age 9. He studied at the Australian National University before moving to New York in the late 90’s. Since moving to New York, Andrew has been fortunate enough to perform with George Cables, Peter Bernstein, Vanessa Rubin, Bob Stewart, Wycliffe Gordon, Sharel Cassity, Michael Dease and saxophonist Matt Garrison amongst many others. He is currently the drummer in the Sharel Cassity Quintet and the Matt Garrison Projection. In addition, Andrew also freelances as an audio engineer and designs CD cover art. He loves to cook and now that he uses drumsticks to play the drums, he often eats with chopsticks.